Geng, Y., Wan, Y., Shen, Q., Li, H., and Zhang, R., (2000), Chronological framework of the early Precambrian important events in the Luliang area, Shanxi Province, ACTA GEOLOGICA SINICA-CHINESE EDITION-, 74, p223-231, (in Chinese with English abstract). Gross, G.A., (1980), A classification of iron formations based on depositional environments, The Canadian Mineralogist, 18, p215-222. Lewis, I.R., and Edwards, H., (2001), Handbook of Raman spectroscopy: from the research laboratory to the process line, CRC Press. 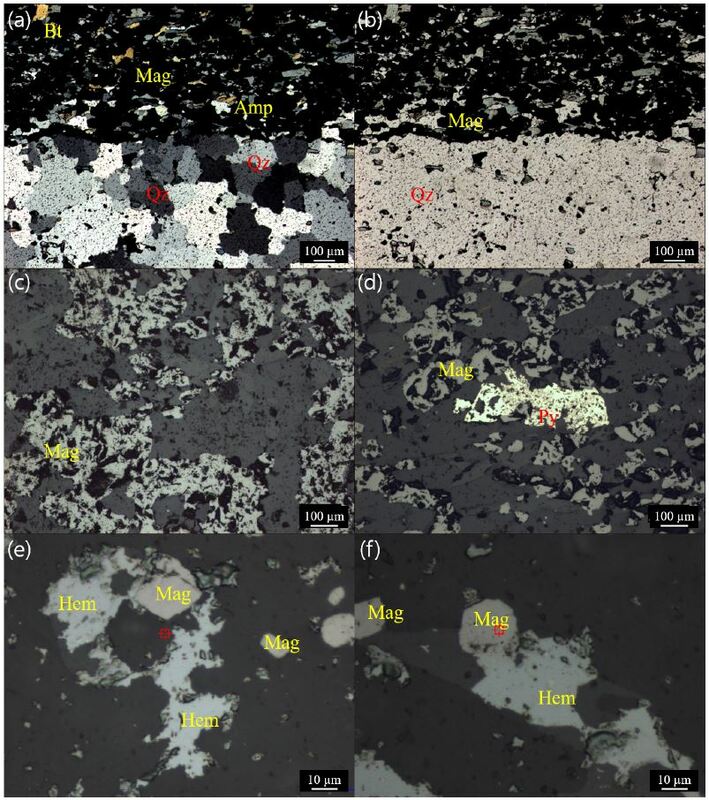 Li, H., Zhai, M., Zhang, L., Yang, Z., Kapsiotis, A., Zhou, Y., He, J., Wang, C., and Liang, J., (2014a), Mineralogical and microfabric characteristics of magnetite in the Wuyang Precambrian BIFs, southern North China Craton: Implications for genesis and depositional processes of the associated BIFs, Journal of Asian Earth Sciences, 94, p267-281. Li, H., Zhang, Z., Li, L., Zhang, Z., Chen, J., and Yao, T., (2014b), Types and general characteristics of the BIF-related iron deposits in China, Ore Geology Reviews, 57, p264-287. McLennan, S., (1989), Rare earth elements in sedimentary rocks; influence of provenance and sedimentary processes, Reviews in Mineralogy and Geochemistry, 21, p169-200. Posth, N.R., Köhler, I.D., Swanner, E., Schröder, C., Wellmann, E., Binder, B., Konhauser, K.O., Neumann, U., Berthold, C., Nowak, M., and Kappler, A., (2013), Simulating Precambrian banded iron formation diagenesis, Chemical Geology, 362, p66-73. RRUFF, (2018), http://rruff.info/magnetite/display=default/ (March 2, 2018). Shen, B., Zhai, A., and Yang, C., (2010), Paleoproterozoic-an important metallogenic epoch in China, Geological Survey and Research, 33, p241-256. Sun, X.-H., Zhu, X.-Q., Tang, H.-S., Zhang, Q., and Luo, T.-Y., (2014a), The Gongchangling BIFs from the Anshan-Benxi area, NE China: Petrological-geochemical characteristics and genesis of high-grade iron ores, Ore Geology Reviews, 60, p112-125. Sun, X.-H., Zhu, X.-Q., Tang, H.-S., Zhang, Q., Luo, T.-Y., and Han, T., (2014b), Protolith reconstruction and geochemical study on the wall rocks of Anshan BIFs, Northeast China: Implications for the provenance and tectonic setting, Journal of Geochemical Exploration, 136, p65-75. Trendall, A., (2009), The significance of iron-formation in the Precambrian stratigraphic record, Precambrian sedimentary environments: A modern approach to depositional systems, 33, p33-66. 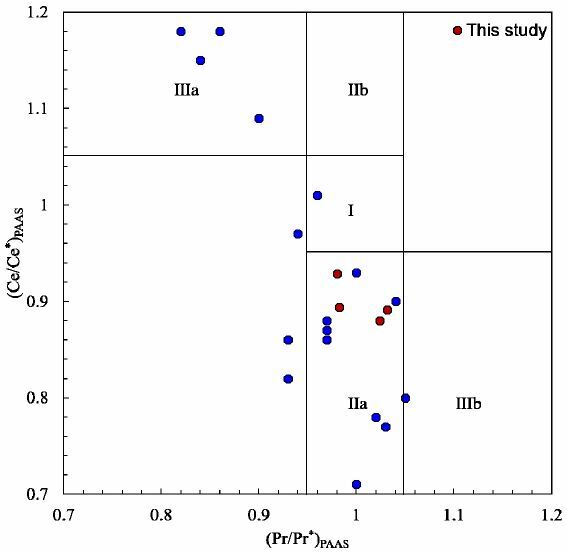 Wan, Y., Geng, Y., Shen, Q., and Zhang, R., (2000), Khondalite series-geochronology and geochemistry of the Jiehekou Group in Luliang area, ACTA PETROLOGICA SINICA, 16, p49-58, (in Chinese with English abstract). Wang, C., Zhang, L., Dai, Y., and Lan, C., (2015), Geochronological and geochemical constraints on the origin of clastic meta-sedimentary rocks associated with the Yuanjiacun BIF from the Lüliang Complex, North China, Lithos, 212, p231-246. 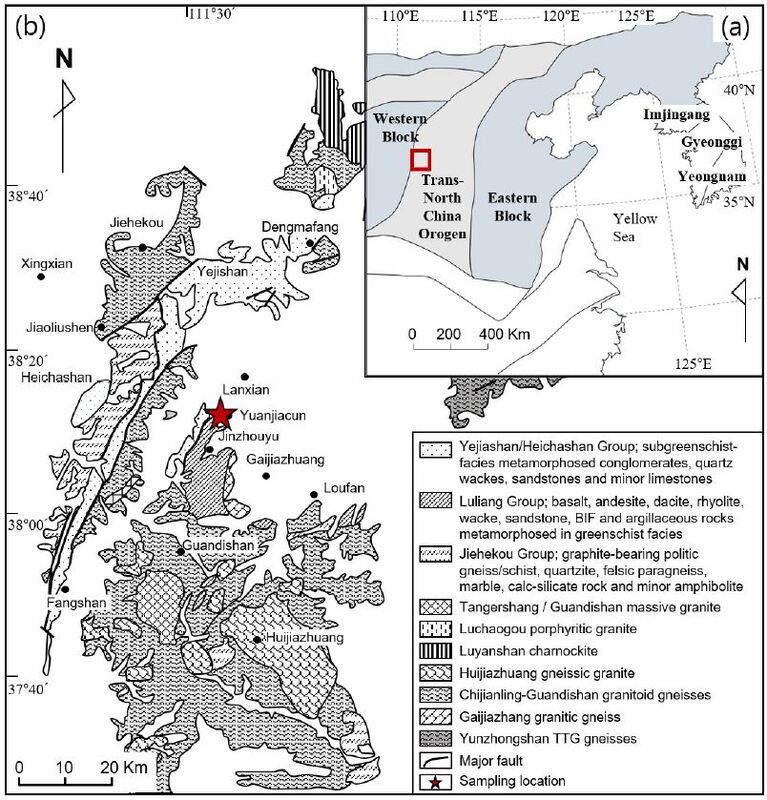 Wu, M., Zhao, G., Sun, M., Yin, C., Li, S., and Tam, P.Y., (2012), Petrology and P-T path of the Yishui mafic granulites: implications for tectonothermal evolution of the Western Shandong Complex in the Eastern Block of the North China Craton, Precambrian Research, 222, p312-324. 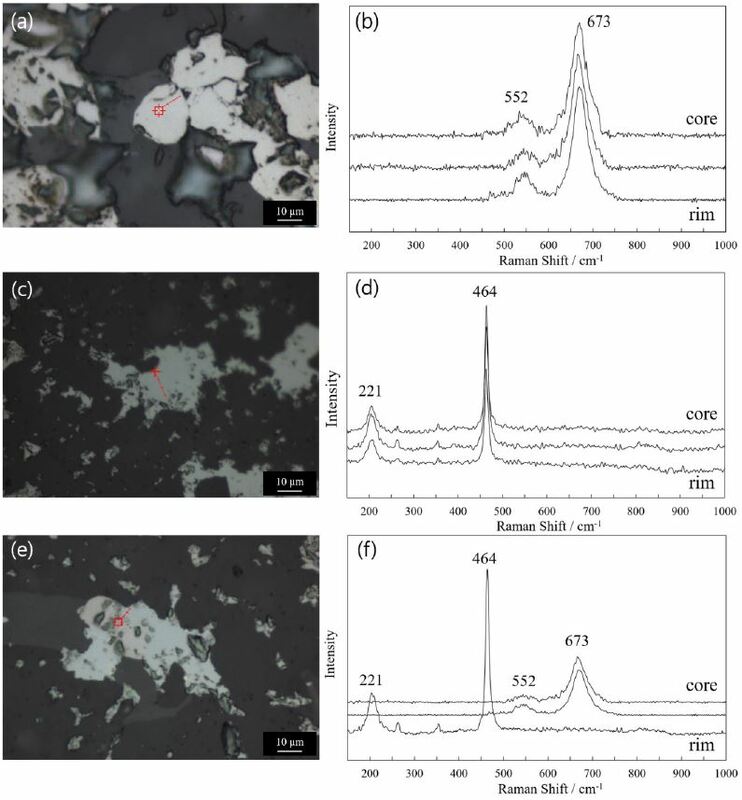 Yu, J., Wang, D., Wang, C., and Li, H., (1997), Ages of the Luliang Group and its main metamorphism in the Luliang Mountains, Shanxi evidence from single9grain zircon U9Pb ages, Geological Review, 43, p403-408, (in Chinese with English abstract). Zheng, Y.-F., Xiao, W.-J., and Zhao, G., (2013), Introduction to tectonics of China, Gondwana Research, 23, p1189-1206.